Many companies bring new technology to market as a standalone single-purpose tool. This is often done by default without having given consideration to other paths open to them. Paths that could save them time, money and speed overall business growth. 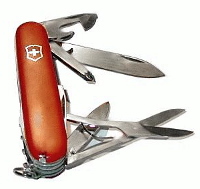 Think about it as the difference between offering a single-blade penknife or the very popular Swiss Army multi-purpose tool. The question to ask is which one will your targeted customer accept? Let’s explore the choices. 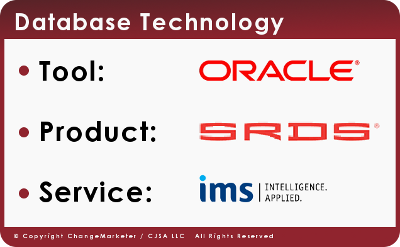 Oracle offers the technology as a tool with its Oracle Database. IMS offers a service that uses database technology, populated with pharmaceutical sales data, included as part of its Pharma Commercial Services. 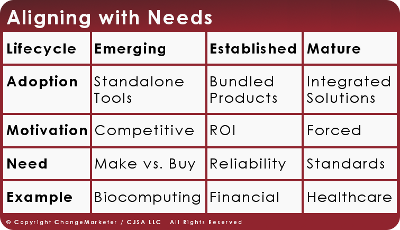 Each of these options aligns with the needs of different customers and industries. These companies have all built huge successful businesses using database technology in very different ways. Now let’s look at the other side of the coin. Success is not just about what you want to offer, but what the customer will accept. Standalone: Companies and industries early in their lifecycles are more willing to accept standalone tools, because they are motivated to gain a competitive advantage. They are faced with the “make or buy” decision, in order to have what they need to succeed. Biocomputing is an example of an industry that is in the emerging lifecycle stage today, where standalone tool offerings would be well received. Bundled: Companies and industries that are established have more at stake. They want products that perform reliably and work well within their existing infrastructure. They are motivated by Return on Investment (ROI), and bundled products can provide that. Financial Services is an example of an industry that is in the established lifecycle stage, where bundled offerings are expected. Integrated: Change is much harder to accomplish with companies and industries that are mature. When they do change, it is often because regulations or obsolescence are forcing them to act. They often want complete solutions that are standards-based. Healthcare is an example of an industry with this dynamic. The current struggle for a “universal” medical records solution is one example of this dynamic at work. When bringing new technology to market, success will go to those leveraging the marketplace forces driving offer and acceptance. Here are some current examples of these forces at work. Social Media: This is an industry that is still in its “wild west” phase, so standalone tool opportunities abound. However, the marketplace forces that will push towards bundling and integration can already be seen on the horizon. CRM (End User): It would be an uphill battle to offer a “standalone tool” to end-user customers in the CRM space today, because customers want bundled/integrated products. The industries using CRM solutions are primarily driven by ROI and demand interoperability. CRM (Vendors): However, that does not mean CRM is not able to provide high-growth opportunities. 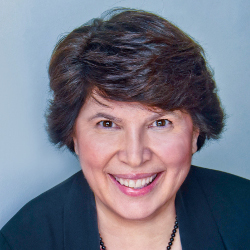 Established CRM vendors are looking for additional ways to provide incremental value to the end-user customers, making vendors a good prospect for standalone tools. To optimize business growth, seek offer and acceptance alignment proactively. Understand which of these paths works best for the provider and the prospect. Let the offer and acceptance marketplace forces help propel you to your destination. Market Force #7: Practicing Systematic-Marketing™? This entry was posted in Customer Acceptance, Marketing, Marketplace Forces, Target Market Identification. Bookmark the permalink.